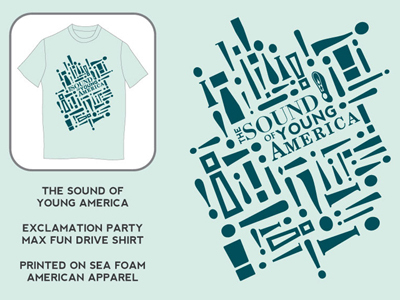 As you may have heard, every year for our annual pledge drive we create a limited-edition Maximum Fun shirt for donors, and every year that shirt is designed by listeners. We had you vote for your favorites in the semi-finals. Well, the people have spoken, and we have five finalists. These finalists will now be put before our blue ribbon super-panel to be evaluated and judged accordingly. and Jesse's mom Judith Thorn. 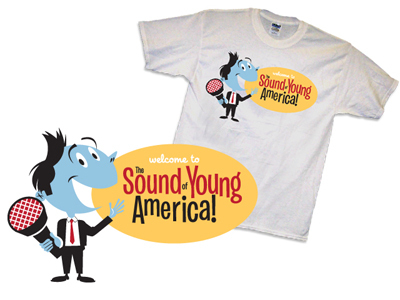 The winner will be announced at the beginning of our pledge drive on May 1st. "Welcome to..." (Cartoon Jesse) from Tom Deja. 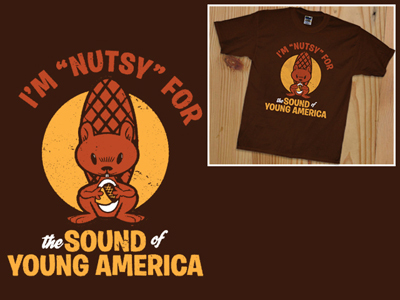 I'm Nutsy for TSOYA also from Tom Deja. Field of Exclamation Marks from Scott Nusinow. 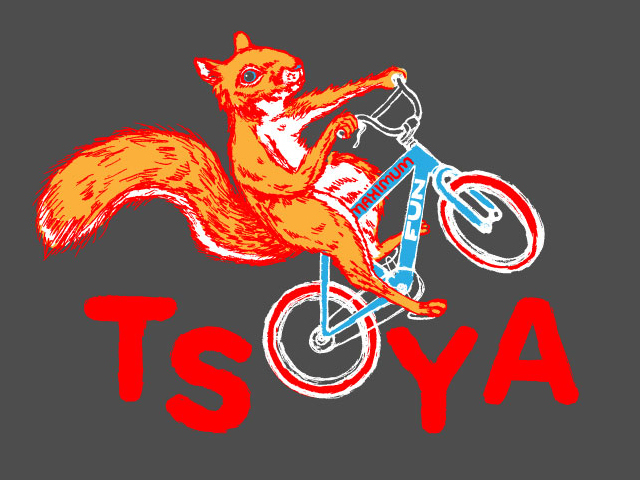 Cycling Nutsy from Brian Kaas. 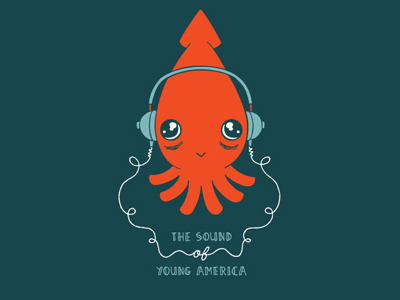 Listening Squid from Jamie Tanner. please, please let it be the squid.